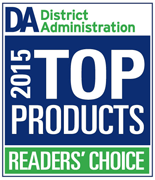 District Administration’s Readers’ Choice Top Products awards program informs superintendents and other senior school district leaders about products their colleagues around the country are using to help their districts excel in a variety of areas, such as technology, sustainability and curriculum instruction. 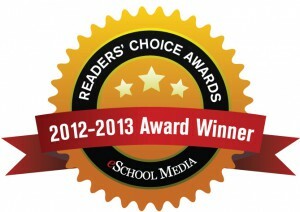 The winners were compiled from 2,100-plus nominations from the magazine’s readers over the past year. The mission of EdTech Digest is to tell the story of 21st-century education transformation. The prestigious awards program celebrates the best and brightest apps, platforms, products and people in the education and technology (“edtech”) world. 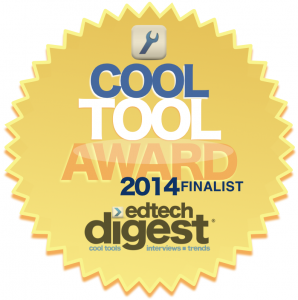 The ‘Cool Tool’ award finalists embody new, emerging and established technology solutions for education. This Inaugural Connected Learning App Challenge, hosted by IMS Global, gives recognition to products who support digital innovation based on open standards to enable connected learning. Winners of this challenge were evaluated on creativity, ease of Learning Tools Interoperability (LTI) integration and the potential for enabling connected learning both online and in the classroom. 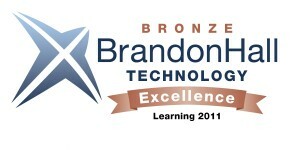 The Brandon Hall Excellence in Learning Technology Awards are presented by Brandon Hall Group, a leading research firm in training and development. The Learning Technology Awards program showcases innovations in the products in the marketplace for creating and managing learning, talent and performance.